Kateb University has launched the program of Research on SDGs for Afghanistan in light of UN Sustainable Development Goals Agenda. Currently KU research department in collaboration with KU research council and faculties research committees are working together to provide research services, teaching, local and national SDGs policy for fulfilling 2030 SDGs goals for Afghanistan. Kateb University raises awareness among the students and community on how SDGs can change their life by expanding SDGs Knowledge. Kateb University is working with civil society, private sector, donors and government to develop frame works for implementation of SDGs in Afghanistan through providing research and developing policies. 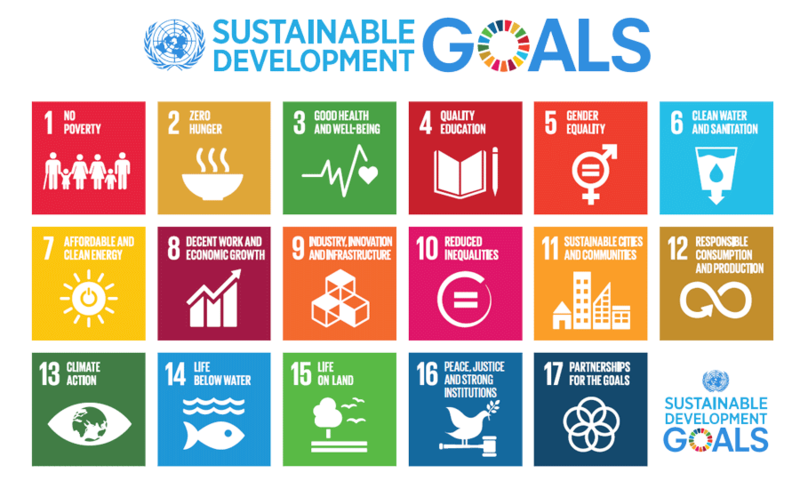 KU departments strives to participate in implementation of SDGs in Afghanistan by expanding knowledge, providing researches, conducting SDGs workshops, seminars, conferences and developing applicable policies through students, faculty, alumni, staff and community engagement. As per Afghanistan’s unstable situation, usually applicable policies are not developed, this is usually due to the lack of having a realistic approach towards understanding Afghanistan. Understanding the countries gaps and accepting the flaws, Kateb University provides policy development service for different sectors within Afghan Government, International Organizations and Donors. KU has technical and experienced experts who can serve the organizations to identify the potential challenges and analyze the current problems and gaps. Knowing the trend of business in Afghanistan and understanding the global market, requires researches. KU offers survey and market research services for investors, entrepreneurs, international organizations and donation bodies. Our Survey and market research services include Afghanistan labor market, market competitors and analyzing target audiences and customer, analyzing target market and industries. KU research department is formed to serve the clients technically and practically. In Kateb University every faculty has a technical research clinic to provide detected solution in their fields for KU clients. KU research unit is formed to be high quality research provider. Our data modeling and analysis services are lunched to serve the research companies, Ph.D. Scholars, researchers and master’s students to select and run their research models. In each faculty, Kateb has a research committee with qualified and dedicated team who can supervise and run deferments models in their own expertise such as Economics, Law, Political Science, Social Science, Medicine, Computer Science and Engineering. KU also has equipped research laboratory for the fields of physics, chemistry and biology. KU research team designs questioners and provides data analysis for clients with high standards technical software such as SPSS, STATA, and EVIEWS. Opposite to Habibia High School, Darul-Aman Road, Kabul, Afghanistan.